Philosophers and theologians during the age of the scientific revolution commonly believed that God reveals himself through both the Book of Scripture and the Book of Nature. Both books are coy with their secrets, but they can be coaxed out by the truly wise. These secrets can never really conflict because they were written by the same author. What many take as the conflict between religion and science during that age is a later invention of the Enlightenment. In the 16th and 17th centuries the issue was more about who had the authority to reconcile scripture with nature. What . . . was the content of these “other studies”? Most of his colleagues at Trinity College, Cambridge, were aware that he was devoted to his “chymical” (i.e., chemical and alchemical) investigations, but they also knew that he was an exceptionally serious student of religion. His outward behavior indicated that he was an “intire”—that is, a devout—Christian, a fine and upstanding member of the Church of England . . . However, by the time Hooke’s letter arrived, Newton was harboring a terrible secret. He believed that the central Christian doctrine of the Trinity was a diabolical fraud. 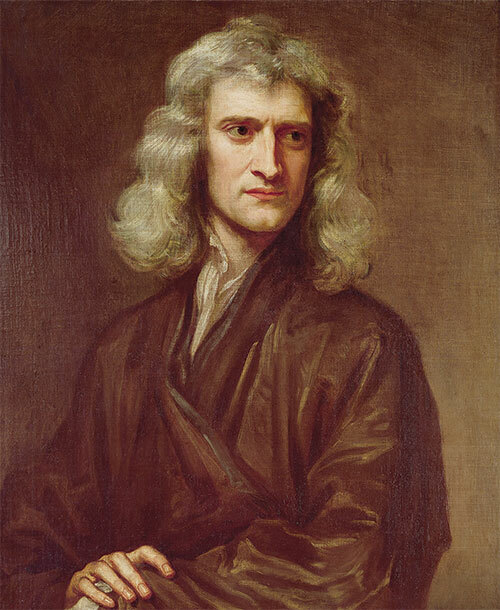 Although something was always known of Newton’s theology (he discussed it, albeit obscurely, in the essay called the “General Scholium” attached to the second and third editions of the Principia), and more of it became clear after his death, it was ignored or minimized for more than two centuries. Indeed, in the early 19th century it was explained away as being the result of some kind of mental breakdown. This attitude didn’t really change until historians began to systematically read Newton’s papers in the 20th century. Newton had left these papers to his niece, Catherine Conduitt, but they sat in the family home all but unread until the end of the 19th century, when the mathematical papers were donated to Cambridge, and the papers from his tenure at the Royal Mint went to the Public Record Office. No one, however, was interested in the voluminous collection of theological, historical, and alchemical manuscripts—not Cambridge, Harvard, Yale, or the British Library. In 1936 Viscount Lymington, who had inherited the remaining papers, sold them at public auction. A number of these papers were scattered among private individuals or institutions, but the great economist Lord John Maynard Keynes and a quirky, contentious Bible scholar named Abraham Shalom Yahuda bought major lots, thus preserving much of the material in two collections. In the eighteenth century and since, Newton came to be thought of as the first and greatest of the modern age of scientists, a rationalist, one who taught us to think on the lines of cold and untinctured reason. I do not see him in this light. I do not think that any one who has pored over the contents of that box which he packed up . . . in 1696 . . . can see him like that. Newton was not the first of the age of reason. He was the last of the magicians. Keynes was also the first to propose an influence of Judaism on Newton’s theology, suggesting that Newton was really “a Judaic monotheist of the school of Maimonides” rather than a Socinian or any other kind of radical antitrinitarian Protestant. When the Yahuda papers were first made available at the Jewish National and University Library in Jerusalem in the late 1960s, David Castillejo, a Cambridge scholar who had carefully studied the Keynes collection at Cambridge, came to Israel and wrote up a rough typescript catalog of the Yahuda material. This document, kept in a back room of the library, was for decades the best guide to Newton’s theological and historical manuscripts. When my teacher Richard H. Popkin came to Jerusalem to investigate the collection, Castillejo’s catalog led him to Newton’s notes on Maimonides. Ultimately, I think Popkin somewhat misstated Maimonides’s influence on Newton (a matter to which I will return), but their work, together with Frank Manuel’s little 1974 classic on Newton’s religion (The Religion of Isaac Newton) and Richard Westfall’s massive 1980 biography (Never at Rest), inspired a generation of scholars. In 1991, the Chadwyck-Healey publishing company put out a microfilm collection of all the known Newton manuscripts, a staggering 43 reels of microfilm. Less than a decade later the Newton Project began the enormous enterprise of scanning and transcribing all of Newton’s known works. Iliffe, a professor of history at Oxford University, headed the project, which means that for at least two decades he spent hours every day reading Newton. It takes a bit of a genius to successfully study a genius, and in this case one must first master the millions of words the great man wrote about natural theology, doctrine, prophecy, and church history. Iliffe does a great deal more than that. He places these writings in illuminating historical context, creating order out of a dizzying mass of primary and secondary literature. The result is an entirely new perspective on several areas of Newton’s thought, including his scientific work, as well as a beautifully ordered trek through Newton’s religious ideas. His study is eye-opening for Newton scholars, but it also introduces nonspecialists to the intellectual and religious world of perhaps the greatest scientist in history. In the early 1990s I wrote a doctoral dissertation about Newton and Judaism at the Hebrew University of Jerusalem. The great American Jewish physicist Herbert Goldstein was living in Jerusalem at the time and somehow heard about my work. After reading it he said, “I was expecting more about how Newton learned his principles from Maimonides or about his researches on the mathematics of the sacred cubit. I wasn’t expecting so much Christian theology!” Newton had studied Jewish texts with great care in the construction of his massive religious works. He consulted Josephus Flavius, Maimonides, the Mishnah and Talmud, and even works of the Kabbalah, but he really was a radical Christian who acknowledged Jesus as the Son of God. He just insisted that the son could not be conflated with the father. In fact, he thought Jesus had been sent into the world to cleanse it of precisely such idolatrous suggestions, and he turned to the Hebrew Bible and Jewish sources, in part, to reconstruct the original monotheism of Noah and the Israelite religion which succeeded it—and to understand the conceptual errors that led to idolatry. Newton’s obsession with the corruption of the early church by pagan metaphysics led him inexorably to the historical question of the origin of idolatry. Here it was Maimonides’s Hilkhot avodah zara (Laws of Idolatry), in the 1641 translation of Dionysius Vossius, that provided Newton and many others with a useful historical schema. Maimonides famously described how early people slipped from worship of the one true God to worship of his retinue—the sun, moon, and stars—which led to the occlusion of the divine and the corruption of worship. Newton also found this view in contemporary authors, such as John Spencer, John Selden, and Robert Boyle, who themselves drew upon Maimonides (Iliffe only glancingly mentions their Maimonidean source). 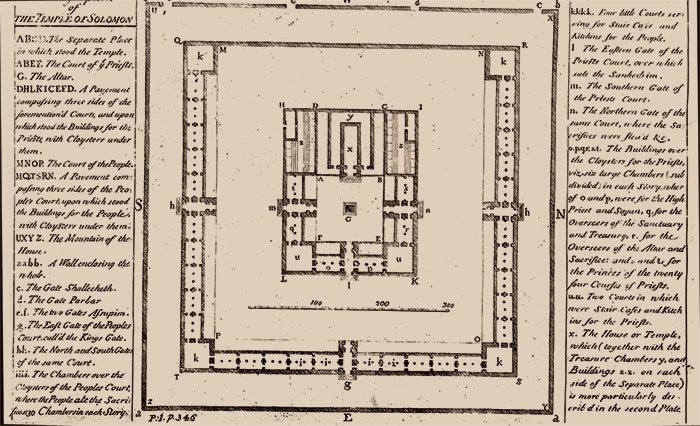 Isaac Newton’s diagram of part of the Temple of Solomon, from The Chronology of Ancient Kingdoms, published in London, 1728. The tabernacle and the two Jerusalem Temples were of deep interest to Newton for another reason. He read the mysterious Revelation of St. John as being physically set in the Temple precinct. Newton traced the symbols of Revelation—trumpets, seas, seals, books, priests, and so on—to motifs inspired by what the prophet saw as he walked around the Temple. This Temple was also a model for the true Church and would be rebuilt at the End of Days. He left several drawings of the Temple (with his own idiosyncratic Newtonian layout) as well as numerous written passages concerning its importance. Indeed, despite Keynes’s clever hunch and Popkin’s interesting hypotheses, Newton’s notes on Maimonides mainly concern the laws of the Temple (hilkhot beit ha-behirah) rather than theology (he didn’t even own the Latin translation of The Guide of the Perplexed). As Iliffe remarks a number of times, Newton went shopping for facts or information he needed to fill out his own historical theories. Thus, Mishnah Middot, Josephus, and Maimonides, which he read in recent Latin translations, were all grist for the mill of his unique Temple researches. There were, to be sure, other areas in which Newton consulted Jewish sources. When he was asked to carry out investigations on the history of the calendar during early considerations of its reform around the turn of the 18th century, Newton consulted Maimonides’s Hilkhot kiddush ha-chodesh (Laws of the Sanctification of the New Moon). The Maimonides references remained in the drafts up to, but not including, the final version. Newton also studied Kabbalah in translation and has occasionally—and erroneously—been described as a kind of Christian kabbalist, but his interest in Kabbalah is an odder and more characteristically Newtonian story than that. Certain Christians had found Kabbalah to be congenial to their own theologies since the days of the Renaissance humanist Count Giovanni Pico della Mirandola. Newton’s teacher and friend, the Cambridge Platonist Henry More, wrote a fair amount about “Cabala” in this general vein, but it turned out that he knew next to nothing about the thing itself. 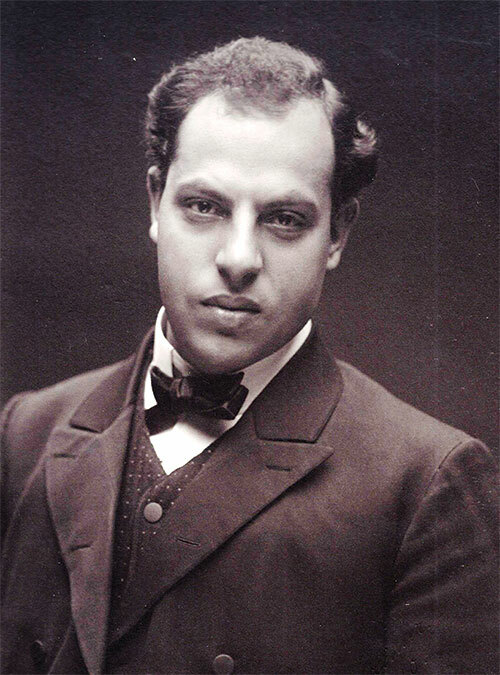 His version of the esoteric Jewish tradition derived mainly from his own imagination. Then, between 1677 and 1685, an enormous compendium of genuine kabbalistic writings in Latin translation, the Kabbala Denudata, was published by Christian Knorr von Rosenroth. Suddenly European scholars from John Locke to Lady Anne Conway were interested in Jewish mysticism. The critical moment for Newton occurred when his arch-rival Leibniz began incorporating Kabbalah into his thought. It was, in fact, Leibniz’s understanding of God’s influence on the world through the medium of the sephirot that set Newton off. This was part of Leibniz’s belief in a plenum (no vacuum in physical space) and his attack on Newton’s gravitational theory. Newton got a copy of the Kabbala Denudata, read it voraciously, dog-earing the pages as he went, and launched his counterattack. Kabbalah, he argued, was precisely one of those pagan theories that had first infected Judaism with idolatrous ideas, and then, through converted Jews, introduced these corruptions into Christianity. Some of Newton’s Jewish reading makes its way into Iliffe’s book, but not much. Perhaps it was a smaller corner of Newton’s vast theological and historical enterprise than many of us, from Keynes to Popkin and his students, have been tempted to think. Then again, during my years working on these manuscripts, Jewish sources and ideas seemed to be constantly turning up. Another reason may be that Iliffe tends to focus on Newton’s religious writings from the 1670s through the 1690s, while more material about Jews and Judaism appears in later manuscripts, particularly those from around 1710. Whatever the level of Newton’s interest in Judaica, he was never interested in actual Jews, who had been tacitly readmitted to England after almost four hundred years of exile during his youth. A learned Jew named Isaac Abendana taught Hebrew at Cambridge and knew many of Newton’s contemporaries, including John Locke, Henry More, and Robert Boyle. Although Newton read his books, he never strolled across the campus to meet him. Matt Goldish holds the Samuel M. and Esther Melton Chair in Jewish History at the Ohio State University. He is the author of Judaism in the Theology of Sir Isaac Newton (Kluwer) and several other works. a triple crown of God, the Holy Spirit and a triman. This opinion he from all his colleagues carefully concealed. Unlike the law of gravity it would by them have been repeated. he thought like Jews, taught by the first verse of the Shema, that God is one. 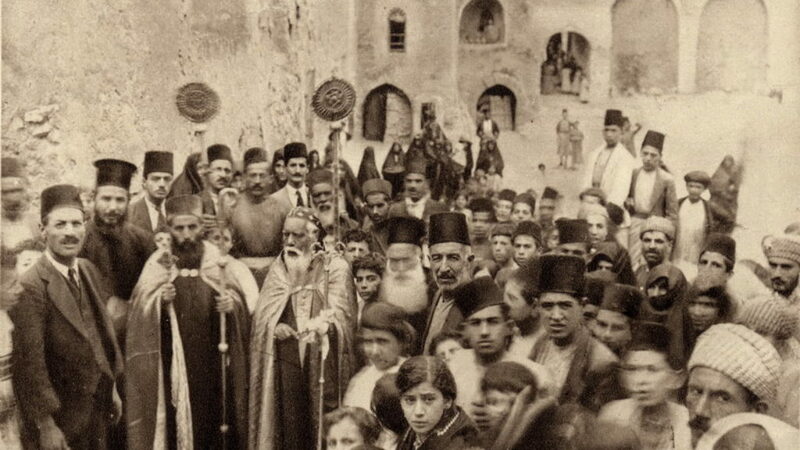 A sober look at Jews and Christians under medieval Islamic rule.